MM's Kitchen Bites: Panch Phoron / The Bengali Five Spice mix...ask and you shall receive!!! 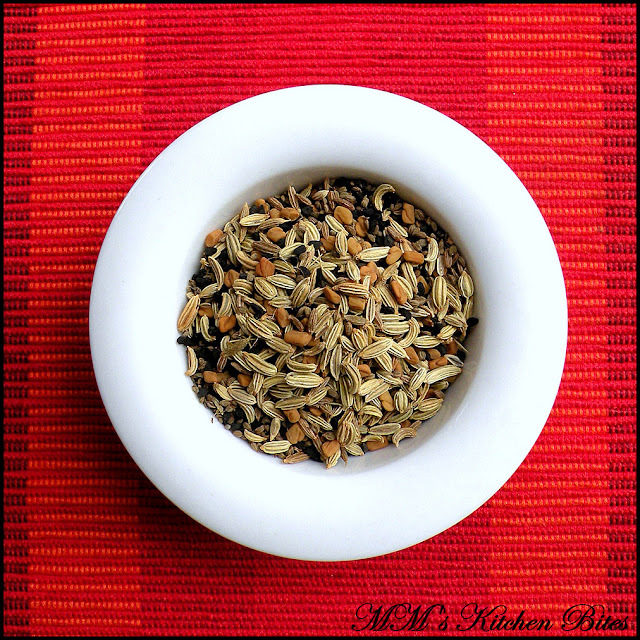 Panch Phoron / The Bengali Five Spice mix...ask and you shall receive!!! Take equal quantities of the above five ingredients, put it in a small container and shake vigorously. And it is done! Add the sixth spice i.e. Radhuni/ Ajmod/Wild Celery seeds in half the quantity used for each of the other five ingredients (i.e. use ½ tsp Radhuni if you have used 1 tsp each of Shorshe, Mouri, Methi, Kalo Jeere and Jeere)...and yes, adding another ingredient makes is Chhoi (six) Phoron. Chhoi Phoron is normally used only for specific dishes like Shukto, Labra etc.